Accepting defeat, officials in Ramallah say the Arab League back their plans to seek observer status at the United Nations. Palestinian Authority Foreign Minister Riyad al-Malki said Monday that Arab countries support a unilateral PA bid for statehood recognition in the UN General Assembly. Malki's remarks followed a meeting by the Arab League follow-up committee in Doha on Sunday, at which representatives expressed support for the initiative but did not set a date for the bid. He said he believed the PA would win 130-140 votes should the motion be put forward at the world body, securing a majority in the General Assembly. Malki added officials would communicate with member countries of the General Assembly and report back to the committee at its next meeting in Cairo on Sept. 5. The General Assembly can upgrade the PA's status to a non-member observer state, which PA chairman Mahmoud Abbas previously rejected as falling short of Ramallah's national aspirations. 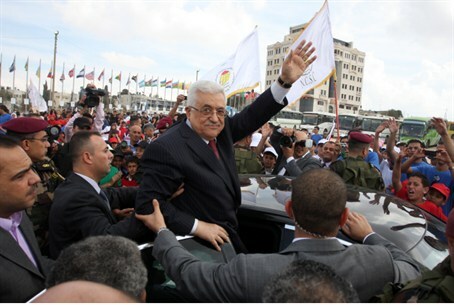 In September 2011, Abbas applied for full UN membership at the UN Security Council. Israel and the US staunchly opposed the bid, which failed due to a lack of support in the 15-member council. The move was a direct violation of the 1993 Oslo Accords which allow the PA to exist. Both Jerusalem and Ramallah are barred from unilateral moves under the agreement. Since then, PA and PLO officials have threatened to bring their statehood bid to a vote in the Security Council despite the promised US veto in hopes of shaming Washington for its opposition. Abbas has thus far failed to carry through on his threat as the PA does not enjoy the support of nine members of the Security Council, which is necessary for any motion to pass absent opposition from any of the five permanent council members. Malki said the PA did not fear US sanctions over the General Assembly bid despite the ill-winds blowing from Washington. "The decision is that the Palestinian leadership will go to the general assembly despite the consequences," he said. The United States has threatened to withold funding from any UN body that recognizes the PA as a full member state, which observer status would not constitute. Washington underwrites 23% of the United Nation's annual budget, and 27% of the world body's peace-keeping operations.